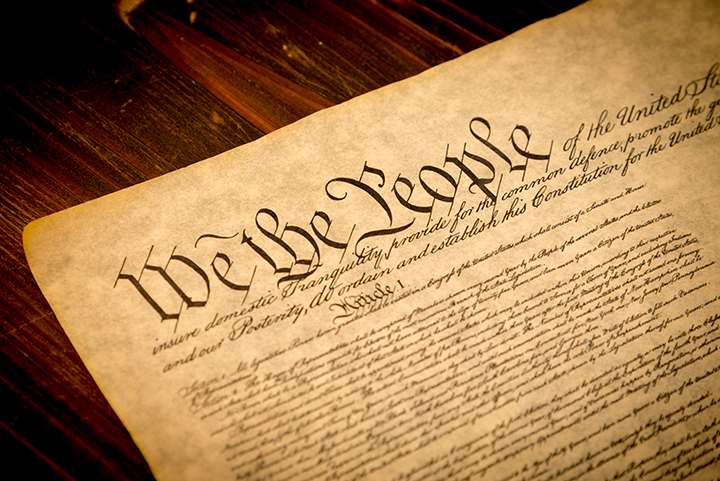 U.S. Rep. Steve King (R-IA 4) re-introduced two bills related to the Constitution today. The Fourth District Republican, who serves on the House Judiciary Committee’s Constitution and Civil Justice Subcommittee in the new Congress, has introduced the bills in previous congresses. The first, House Resolution 140, is titled The Birthright Citizenship Act of 2015, and is meant to rein in what he calls the “anchor baby agenda” by clarifying the 14th Amendment and recognizing the 14th Amendment’s jurisdiction clause. King said the practice of providing automatic citizenship to any child born in the United States has grown out of proportion. Today, he added, between 340,000 and 750,000 babies are granted automatic U.S. citizenship, even though both of their parents are in the country illegally. King’s second bill, House Joint Resolution 16, would repeal the 16th Amendment to the Constitution. It was enacted in 1913 to grant Congress the power to levy a tax on income.